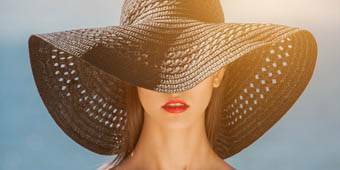 Come to Cebu’s venue of choice for grand wedding celebrations, birthdays and milestones, reunions and homecoming parties, international conventions, seminars and conferences. 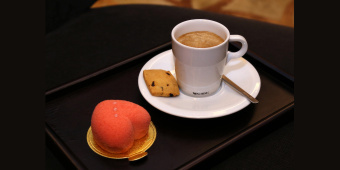 Our versatile and state-of-the-art event facilities can accommodate a variety of set-ups including cocktail, classroom, banquet and theatre. 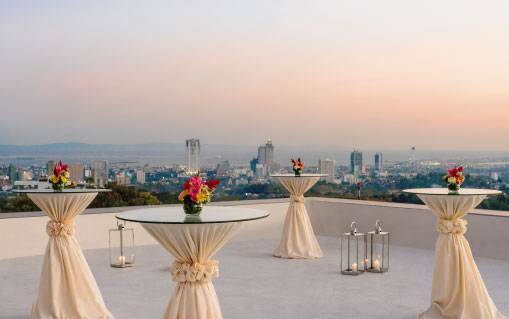 From warm and intimate gatherings to large-scale conferences and conventions, musical events such as ballet performance, concerts and recitals, our facilities and experts are ready to answer to your needs and preferences. 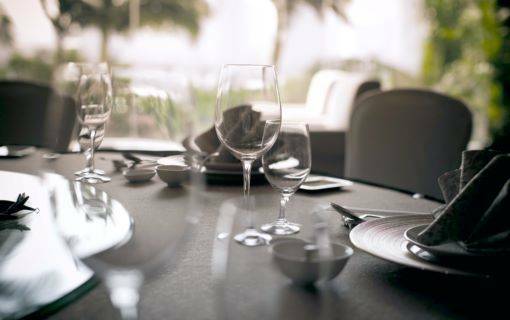 Plus, professional wedding and event organisers and suppliers are in partnership with our Banquet Sales Team to make sure your event or celebration is a complete success. 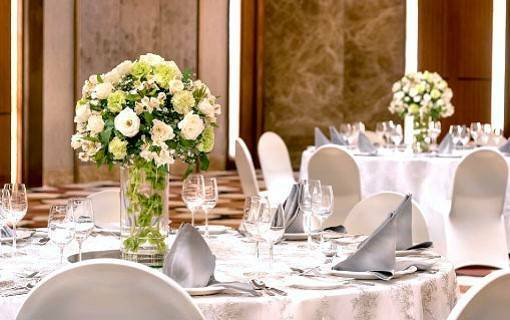 Meeting or wedding, function or cocktail, Marco Polo is the ideal venue for any event. 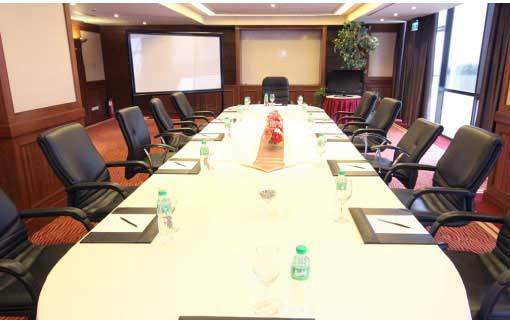 Marco Polo Plaza Cebu houses 9 function/meeting rooms, divisible into 16 to match your needs. 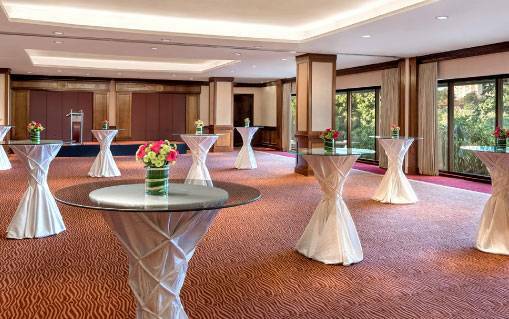 There are six function rooms, one ballroom, a grand balcony and a garden terrace where events can be held. 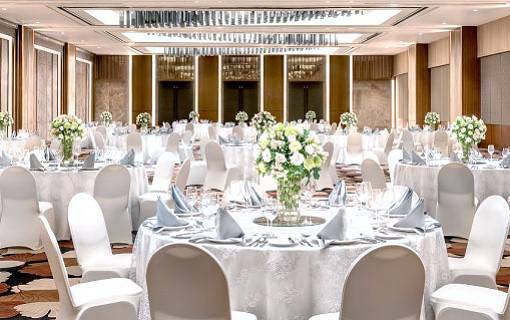 True to its name, the Cebu Grand Ballroom can host up to 1200 persons thanks to its largest size compared to its peers in the hotel. 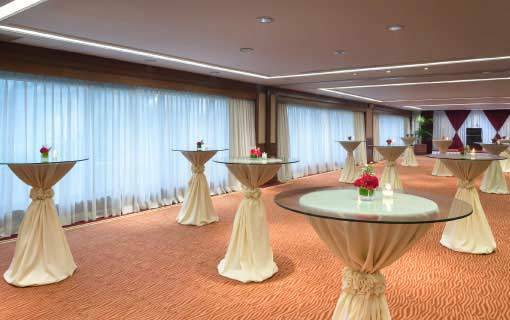 This ballroom is the ideal venue for conventions, conferences and special events. 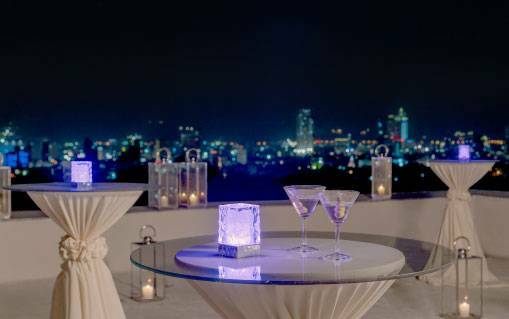 Have your next function al fresco, with a panoramic view of the City. 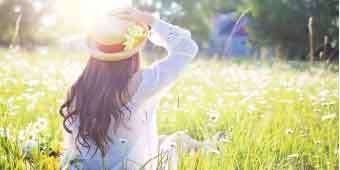 Located at the 3rd floor, this venue is perfect for group outdoor activities and measures about 1,482 sq.m. It does not have built-in amenities. 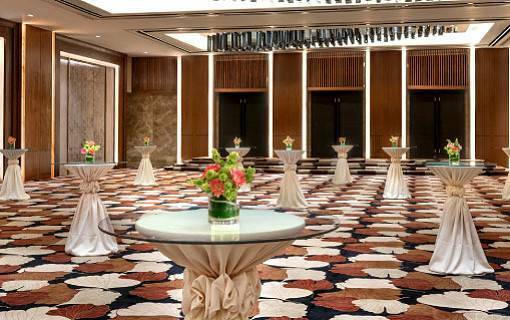 This is an elegant function room which can be used for corporate parties, meetings and private gatherings. It can either be used altogether or sub-divided into three smaller function rooms. Sitting right atop the grand staircase, this adequately spaced function room can be sub-divided into two separate rooms, also perfect for corporate or private functions. 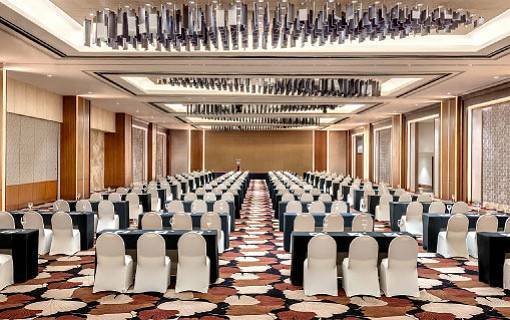 If your event is a small meeting or corporate training/seminar, which will need a smaller room, then Seoul AB is the best option. 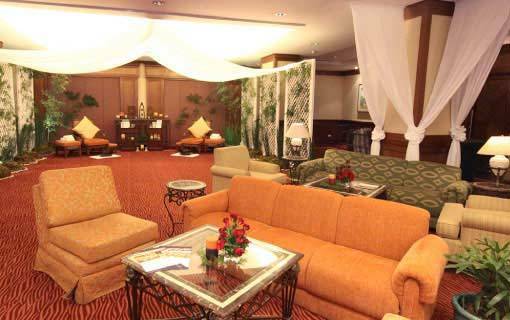 This 839 sq.ft/256 sq.mts space is situated on the 3rd floor of Marco Polo Plaza Cebu and provides an elongated area, along the hallway of the floor. This room can be sub-divided into 2 separate rooms and is optimum for formal dinners, cocktails and displays/exhibits. Dividable into two rooms, Beijing AB is located right beside Shanghai AB. It has a size of 420 sq.ft/128 sq.mts. It has no built-in amenities. 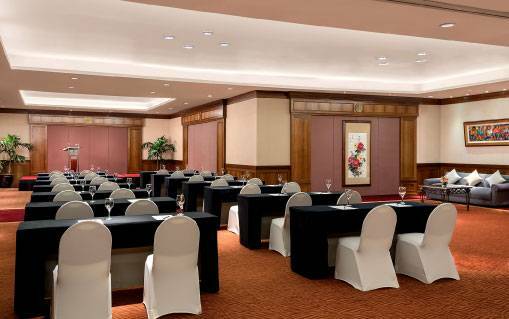 Located on 3rd floor, this function room is ideal for group meetings and presentations.